Memorial/Honorarium gifts provide the perfect opportunity to remember or honor a loved one, while helping others continue their fight against cancer! The Hope Chest for Women will be happy to notify others of your thoughtful intention. It’s the perfect gift/remembrance for someone you care about. 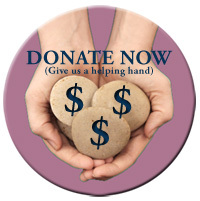 Please consider using the form below to make your tax-deductible gift today!